! [Time field Configuration Interface. ][filtro_cons_hora] Time field Configuration Interface. Data Type : Define the type of field for the application. 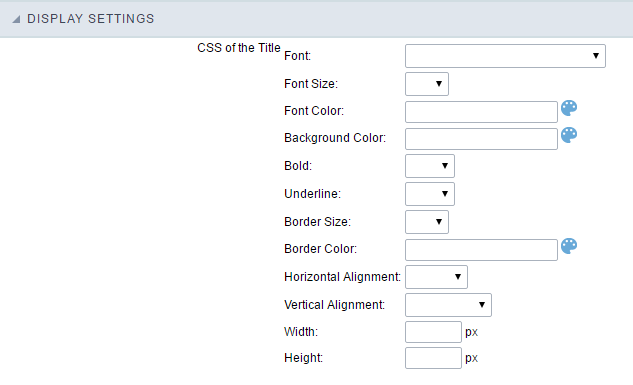 When set to Time, you can inform a time to this field.
! [Time Field Format of Values with Regional Settings. ][filtro_cons_hora_filtro] Time Field Format of Values with Regional Settings. Display : Select the format of the time for display. Internal Format : Allows to define the format the field when the SQL type is different from TIME. You need to use the characters HH, II, and SS that correspond to Day, Hour, Minutes and Seconds.
! [Time Field Behavior Interface of the Search Configuration. ][filtro_cons_hora_format] Time Field Behavior Interface of the Search Configuration.